This new edition presents an 80-card deck with expanded guidebook in a deluxe, hinged box. The 60-page guidebook, by Stuart R. Kaplan, features color illustrations of the tarocchi cards. 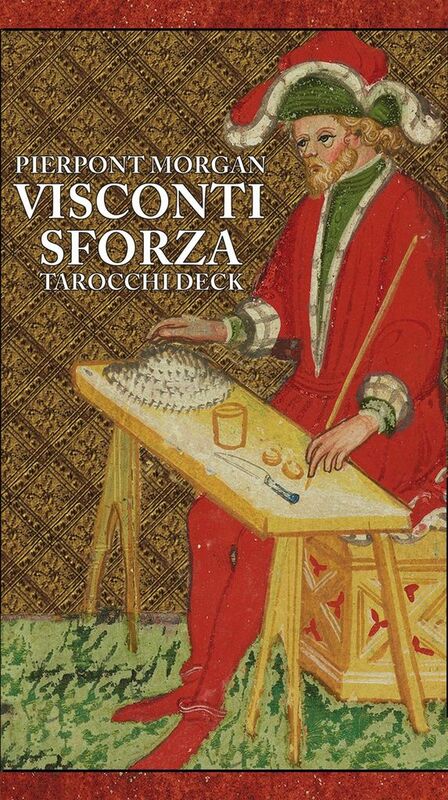 The pack includes two bonus cards with portraits of Bianca Maria Visconti and Francesco Sforza. 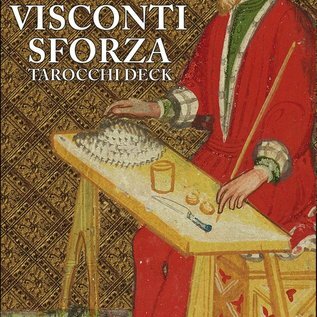 The 78-card deck is comprised of full-color facsimile reproductions of 74 extant, original Visconti-Sforza tarocchi cards that have survived from the 15th century (Milan, Italy). Four cards have been meticulously recreated to replace those missing from the original deck; The Devil, The Tower, Three of Swords, and Knight of Coins. The cards, which do not have titles or numbering, depict daily life in medieval Milan through allegorical imagery. The original cards are located in three different locations. Thirty-five of the original cards are located in the archives of the Pierpont Morgan Library in New York. Twenty-six extant cards are at the Accademia Carrara in Italy, and thirteen cards are housed at Casa Colleoni, in Bergamo, Italy.